Ellen McLain, the voice of GLaDOS from Portal and Portal 2, will return to Anime Midwest in 2013. Ellen has most recently appeared as a computerized voice in trailers for the upcoming movie Pacific Rim. Ms. McLain will be appearing at Anime Midwest alongside her sci-fi author and also-voice-actor husband John Patrick Lowrie. John Patrick Lowrie was the voice of The Sniper in Team Fortress 2 in addition to appearing in numerous other Valve titles. He is the author of Dancing with Eternity. 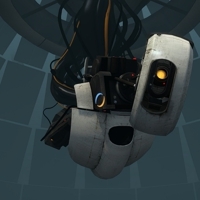 Ellen McLain provides the entire voice for GLaDOS, which is then digitized to sound more robotic. At Anime Midwest 2011, Ellen and John performed "Still Alive" and "Want You Gone" live for the first time ever.